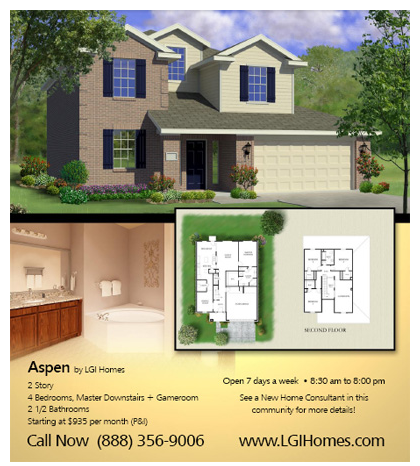 Aspen is a Dallas Fortworth new home plan from LGI Homes that features 4 bedrooms, 2.5 bathrooms, and a 2-car garage. New home with 4 bedrooms built by LGI Homes at Chisholm Springs in Dallas/Fort Worth, Texas. Floorplan features: The Aspen floorplan offers a beautiful two-story layout that enhances privacy while maximizing the flow of the home’s social living areas. Downstairs, the family room, formal dining room and breakfast nook provide ample space for dining and entertaining with family and friends, while the upstairs gaming room adds flexibility and enhances casual evenings and weekends spent together. The downstairs master suite features a separate shower and soaker bath, and the three upstairs bedrooms each come with their own amply-sized walk-in closets. 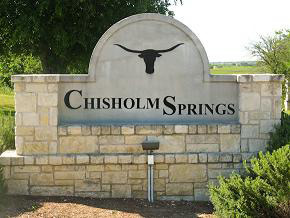 About Chisholm Springs: Chisholm Springs is a premier LGI Homes community located in North Fort Worth. Each home includes thousands of dollars of designer upgrades at no additional cost to the buyer, including rounded corners, custom cabinetry, and vaulted ceilings. Chisholm Springs amenities include a community clubhouse, neighborhood park with playground, and a fenced residents-only pool. Answer: A home is an investment. When you rent, you write your monthly check and that money is gone forever. But when you own your home, you can deduct the cost of your mortgage loan interest from your federal income taxes, and usually from your state taxes. This will save you a lot each year, because the interest you pay will make up most of your monthly payment for most of the years of your mortgage. You can also deduct the property taxes you pay as a homeowner. In addition, the value of your home may go up over the years. Finally, you’ll enjoy having something that’s all yours – a home where your own personal style will tell the world who you are. Answer: Well, that depends on a number of factors, including the cost of the house and the type of mortgage you get. In general, you need to come up with enough money to cover three costs: earnest money – the deposit you make on the home when you submit your offer, to prove to the seller that you are serious about wanting to buy the house; the down payment, a percentage of the cost of the home that you must pay when you go to settlement; and closing costs, the costs associated with processing the paperwork to buy a house. The more money you can put into your down payment, the lower your mortgage payments will be. Some types of loans require 10-20% of the purchase price. That’s why many first-time homebuyers turn to FHA for help. FHA loans require only 3% down – and sometimes less. Closing costs – which you will pay at settlement – average 3-4% of the price of your home. These costs cover various fees your lender charges and other processing expenses. When you apply for your loan, your lender will give you an estimate of the closing costs, so you won’t be caught by surprise. How much do you spend on rent? If you are spending more than $700 a month, you could purchase your new home for less than you spend renting. Currently, payments are as low as $679 a month at all LGI Homes locations. Stop throwing your money away and get into your very own home. 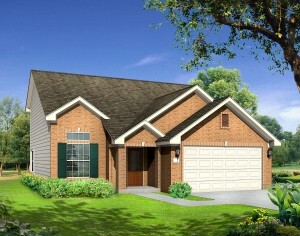 LGI Homes features beautiful brick single family homes for No Money Down. These three, four and five bedroom homes are only minutes from fantastic shopping, dining and outdoor recreation. Some of the great features included in all new LGI Homes are brand new top of the line appliances, custom cabinetry, landscaping and more. Don’t throw away another penny on rent! Owning is easier than you think. Call or visit one of our beautiful new home communities today. If you live in the Houston, San Antonio or DFW area LGI Homes has the perfect new home for you. 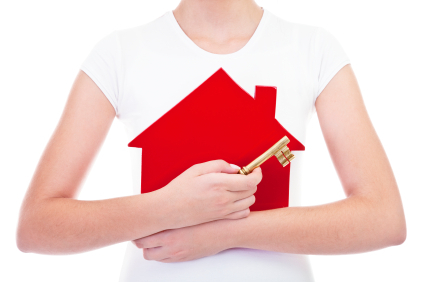 “My wife and I recently purchased a home in Chisholm Springs. It was our first experience buying a home and we wanted to let LGI Homes know how great of a job the employees at Chisholm Springs did making our first-time buying experience a pleasant one. As first-time home buyers, we had a lot of things to consider, and the employees at LGI Homes were definitely a positive factor in the consideration process. Our first impression of LGI Homes came from a flyer we received in the mail, so kudos to the individual who had that idea. The pricing sounded too good to be true, so we came out to have a look. Our first in-person impression of LGI Homes was with Jef Yarbrough, and if you’ve ever spent more than five minutes with Jef, you’d know that it was an up-bead, positive first impression. Jef seems like the kind of person that always sees the glass as half-full and has already imagined everything he can possibly do with it. He was always happy to answer any questions or get our questions to the right people for quick and productive feedback. The most ongoing feedback was probably with Stacy Conley, as she handled the eccentricities of crossing t’s and dotting i’s with diligence and pleasantry. We were actually happy to provide any documentation required for the ongoing process, as Stacy did such a wonderful job of keeping us informed and setting expectations for each step along the way. Even when we had to restart the application process and the papers were handed off to Jennifer with AmeriPro (who also did a fantastic job), Stacy always seemed happy to handle any questions or paperwork that found their way across her desk. Our last impression was certainly a lasting one: the closing process went smoothly and was well planned and executed. We were most impressed by the orientation and final walkthrough with Kurt Stawarz; the fact that the building manager personally spoke with us about the final product of the home building process was a nice finishing touch. Kurt knows his material and he has an eloquent way of sharing his combined knowledge base and personal experiences to justify the reasons for each decision that was made about every aspect in every room of the house. He did not miss one detail, and even if he had, he made us feel genuinely welcome to contact him if he had missed anything or if we have any further questions or concerns. At LGI Homes we are actively acquiring and looking for sales representatives in Houston, Dallas/Fort Worth and San Antonio. Construction and Administrative jobs are also available. Since 2003, LGI Homes has become one of the fastest growing home builders in Texas and was recognized by Builder Magazine as the only builder in the United States to increase closing in 2006, 2007, and 2008. Recently LGI Homes was recently recognized as the best for Overall Quality for Houston New Homes. Chisholm Springs is LGI Homes’ newest community in the DFW area and if you are in the market for a new home now is the time to buy. With mortgage interest rates are at a 52 year low, Chisholm Springs has special financing options so you can move into your new home for NO MONEY DOWN. With five beautiful floor plans to choose from Chisholm Springs has the perfect home to meet your family’s needs. Prices start as low as $679 per month. All homes include $15,000 of upgrades, top quality appliances, custom cabinetry, front yard landscaping and much more. Come out this weekend to see the great deals available on a new home in the quiet, peaceful community of Chisholm Springs. Homes are shown based on appointment so call now to set up your time to visit and see the wonderful lifestyle Chisholm Springs has to offer. 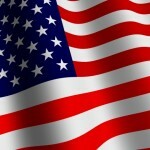 In celebration of Memorial Day, LGI Homes is offering huge savings this Friday, Saturday, Sunday and Monday only! Come out this weekend to a LGI Homes community and receive $5,000 off the purchase price of a new home at the LGI Homes Memorial Day Sale. With mortgage interest rates at historic 52 year lows there has never been a better time to purchase a new home. LGI Homes has new homes available and ready for immediate move in. Purchase this weekend at the LGI Homes Memorial Day Sale and you could be moving into your brand new beautiful home in 30 days or less. Call today to set your appointment to come see the great deals offered this weekend at the LGI Homes Memorial Day Sale. For the past 5 years, LGI Homes has been recognized by Builder Magazine as one of the top home builders in the United States. Moving up 11 places from 2008, LGI Homes was recently ranked No. 57 on Builder Magazine’s 2009 Builder 100 List. This list determined based on closings and is made up of both private and public builders. LGI Homes continues to stand out year after year by providing quality homes at affordable prices to new homebuyers. LGI Homes features three, four and five bedroom floor plans with two bathrooms on over-sized lots. Every home comes with quality appliances, custom cabinets, a fenced backyard, front yard landscaping and a homeowner warranty. In addition, all LGI Homes are built with thousands of dollars worth of upgrades already included at no extra cost to you in desirable locations that are perfect to fit the needs and desired lifestyle you dream for your family. Call or visit one of our beautiful LGI Homes communities today and see how you can own a new home for as little as $629* a month with no down payment required.